Come with Judi on a journey filled with architectural gems, through narrow passageways, flooded squares, and secret corners to find and captivate breathtaking vistas in this enigmatic city. 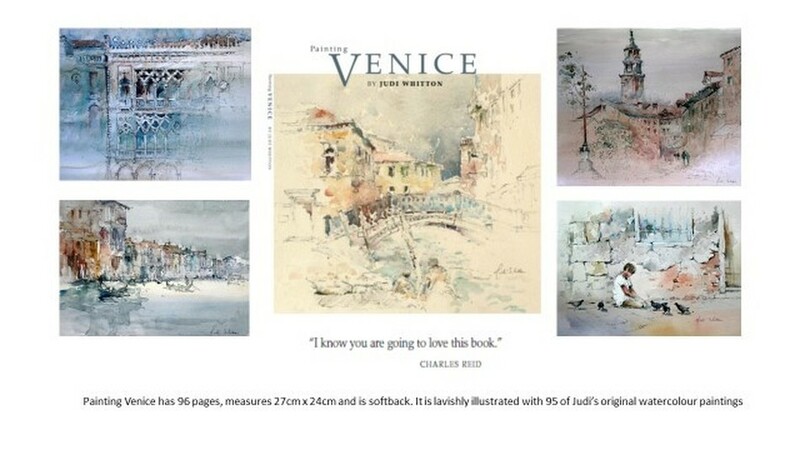 Following many painting trips to Venice over the last 15 years Judi shares light hearted moments, gives solid practical advice for the en plein air painter and reveals precious insights into her personal way of working. Venice is a city of incomparable beauty. This eagerly awaited book is lavishly illustrated with 97 original watercolours and drawings and is a must have for painters and for all lovers of this beguiling city. In this beautifully illustrated book Judi shows how to loosen up your painting with practical exercises, projects, step-by-step demonstrations and numerous hints and tips. All watercolourists like to paint more loosely, but although it may look easy, it is in fact quite difficult to achieve this attractive style of painting. Judi has specialized in teaching and painting watercolours in a loose style for many years and here she shares her experience to enable all artists to liberate their creativity and achieve more freedom of expression in their work. The book has been a best seller for many years but is now out of print. Copies today on Amazon and elsewhere still command prices many times the original publication price. STOP PRESS December 2017. Judi has just come across a small number of brand new signed copies of 'Loosen up your Watercolours'. STOP PRESS September 2018. Judi has two second hand signed copies in good condition. Judi's first book, 'Reflections' , was published in 1999 was also very popular and described as 'a lovely book of watercolours and poetry inspired by life in the Cotswolds'. It is now out of print but signed copies today on Amazon and elsewhere also command prices up to 10 times the original price. The Artist magazine is one of the most respected art magazines for amateur painters. 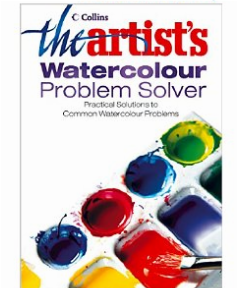 This book, based on its popular problem solving column, offers expert advice of interest to every watercolour artist. Here, Judi and other professional artists provide helpful solutions to many of the pitfalls and most frequently asked questions.. Superb illustrations help to ensure that the advice is not only practical and straightforward, but also inspiring. STOP PRESS. Judi has one ex-library copy . £25 + £3 P&P in the UK.